In 1967, four young musicians from Nottinghamshire, England, Leo Lyons, Ric Lee, Chick Churchill together with Alvin Lee, formed Ten Years After and became one of the biggest names and the most explosive quartet on the world stage. Their now legendary encore, “ I’m Going Home” performed at The Woodstock Music and Arts Festival in August 1969, was captured on film and exposed their jazz, blues, rock amalgam to a large audience who were blown away by the intensity of the band’s performance when the Academy Award winning documentary was released. Their ten-minute appearance in the film is an acknowledged highlight and established Ten Years After a place in rock history. From 1968 to 1975 constant touring, playing important musical events like The Newport Jazz Festival, The Miami Pop Festival, The 1970 Isle of Wight Festival, The Toronto Peace Festival and huge venues like The Albert Hall London, Madison Square Gardens, NY. and The Budokan, Tokyo, exposed the band’s music to a Global Audience. It is estimated that they performed to in excess of 75,000 new fans a week. Almost four million people a year, not counting those who saw the band in the ‘Woodstock’ film. Between 1967 and 1974, Ten Years After recorded and released ten multi-million selling albums. Sadly, Alvin Lee decided to go solo in 1975 and the group ceased touring and recording. However, there has always been a demand for Ten Years After and, over the following twenty-plus years, there were to be three short-lived attempts at reformation and one new studio record, ‘About Time’. Each time, Alvin quit to return to his solo career. Starting in 2001, to take advantage in the growing interest in legendary bands like Ten Years After, EMI and Decca Records in conjunction with Ric Lee, digitally re-mastered and re-released the whole Ten Years After back catalog, most with bonus tracks, including a “find” that had lain unnoticed – the 1970 live recording of the band at its peak at the Fillmore East in New York. Ric and Chick both approached Alvin with a view to touring to support the releases, but Alvin declined. It was a frustrating situation and once again it seemed that fans would be denied hearing the music played live. A chance opportunity early in 2002 for the three founder members of Ten Years After- Leo Lyons (bass), Chick Churchill (keyboards) and Ric Lee (Drums) to work together gave them an insight into the intense, re-awakened interest in the band. By public request, the band re-formed. 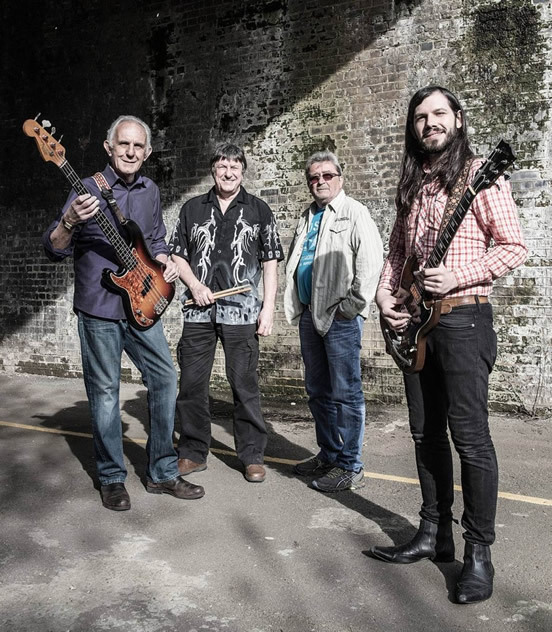 With new member, sensational, twenty-seven year old guitarist/vocalist Joe Gooch, they recreated the music, energy and excitement they’d been known for over the past four decades. “Ten Years After……Now”, the band’s first studio album, was released April 2004 in Europe and came out on July 18th 2000’ label. Throughout 2004 the band toured Germany, Belgium, Holland, Italy, Switzerland, Scandinavia, France, Czech Republic and Canada. 2005 and 2006 proved to be even busier with tours in UK, Western Europe, Russia, USA & Canada, Poland and Lithuania. January 2007 started with the band’s most successful tour of Germany, Austria and Switzerland; breaking box office records at every show. Following his split from the band, guitarist Alvin Lee mostly played and recorded under his own name. Sadly he died from complications during a routine medical procedure on 6 March 2013 to the great shock and surprise of the remaining founder members. August 2005 saw the release of TYA’s double live album “Roadworks” in Europe to great critical acclaim. The band toured Europe and the USA relentlessly during 05, 06, 07 and 08 but somehow managed to find time to record a bunch of new material. November 2008 saw the release of another studio album – “Evolution”. A long-awaited DVD ‘Live At Fiesta City’ was recorded on 30th August 2008 in Verviers, Belgium and is still selling dramatically today around the world. In 2009, Ten Years After completed a highly successful US tour, ‘Heroes Of Woodstock’ in company of many old friends, Canned Heat, Big Brother and The Holding Company, Jefferson Starship and Tom Constanten. 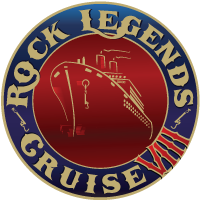 International touring continued in subsequent years including another highly successful tour of the USA in 2013, taking in 22 cities in five weeks, this time with Canned Heat, Edgar Winter Band, Pat Travers and Rick Derringer. Immediately following the American trip, in Autumn 2013, the band embarked on a tour of Europe, visiting Holland, Germany, Austria, Switzerland, France and Spain to tremendous acclaim. During that tour, however Joe Gooch and Leo Lyons gave notice to quit and in January 2014 an official press release announced that both Joe Gooch and Leo Lyons had left Ten Years After to engage in other musical activities. Keyboard player Chick Churchill and drummer Ric Lee, the two remaining original members of Ten Years After, quickly welcomed two truly powerful newcomers into the fold: British Blues Award winner and renowned solo artist, Marcus Bonfanti, on vocals and guitar and Bass icon Colin Hodgkinson (Spencer Davis, Peter Green, John Lord, Chris Rea). The band is once again at the peak of its power and Ten Years After is again creating an unbeatable mix of experience and youthful vigor beyond comparison, that’s as timeless as it is energetic.